Not all budget cuts are bad. Wise gardeners know that prudent pruning is necessary for health. It’s time to get out the pruning shears and strip away the dead wood of wasteful expenditure so that services can be maintained, and next year’s budget can be prudently managed. 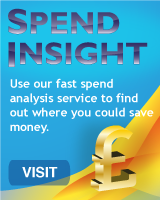 @UK SpendInsight can assist in identifying areas within an organisation’s procurement spend that are wasteful - where spend is off-contract, maverick or varies between departments. SpendInsight reveals areas where significant budget savings can be made and provides data from which an optimised catalogue can be tailor-made for the organisation on @UK’s leading eCommerce Marketplace. SpendInsight reveals savings quickly, cost-effectively, and automatically! @UK SpendInsight is the ultimate budget pruning tool. Powered by clever Artificial Intelligence technology, it is the outcome of a three year Knowledge Transfer Programme between the Universities of Reading and Goldsmiths (London), Coding International and @UK PLC. An automated online programme, SpendInsight interrogates an organisation’s data and reveals areas of weakness and waste, where the procurement pound is not achieving the best price. Helpfully, it also reveals a benchmarked price for products – right down to product line level - so an organisation can see how its procurement programme can benefit from similar organisations’ programmes. SpendInsight can work alongside an organisation’s legacy systems to specifically identify, not only the order that contravened contract pricing, but the specifics of that order - who ordered at what price and when. This data revelation can spearhead a cost correction and cash recovery process. 1. 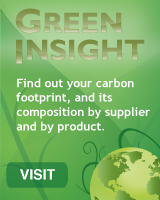 Procurement information is downloaded into SpendInsight. 3. SpendInsight report is returned to the organisation, typically within a week! 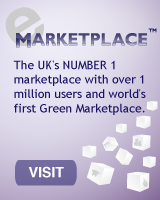 @UK eCommerce Marketplace is the only eCommerce marketplace in the UK. It already trades with over 4000 suppliers and all of the top 5000 public sector organisations. The Green eCommerce Marketplace provides totally electronic source to pay procurement, with the environmental impact automatically calculated. eCommerce Marketplace customers never need to leave the online environment until their purchase payment has been processed, and as the marketplace features a look and feel akin to other popular online shopping sites, it’s also easy to use. All purchases made on the eCommerce Marketplace are fully controlled according to the supplier lists and contract controls each organisation has established for its purchasers. As all procurement is electronic it is also highly transparent, and auditable. 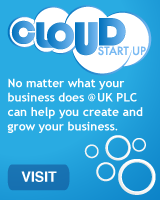 @UK eCommerce Marketplace is secured by the highest level of credit card industry security – PCI/DSS. It is also fully integrated with all of the major banks and closely linked with banking partners. This level of integration with the major banks also ensures that suppliers to the eCommerce Marketplace are paid within three days. Wise gardeners know that pruning is necessary to trim away the dead wood and achieve green renewal. Organisations need to apply the pruning shears on areas of wasteful expenditure in the procurement programme, so that they can make savings, save services and deliver green objectives. From savings, services are delivered with green objectives.